A Man Called Rat | Narration by George! 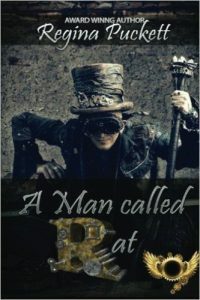 Meet a man called Rat… When a storm sends Rat’s airship off course, he lands smack dab in the middle of a group of dimwitted kidnappers. With the help of his two best friends, a nine-hundred-year-old robot and a droid who always believes they’re on the verge of dying, Rat escapes the kidnappers’ clutches before rescuing the women being held against their will. While the rescue should have been the end of the story, Rat soon discovers the women are hiding something from him. When he uncovers their secret, it turns his life upside down and sets the entire world on a different course.